The study published in “Nature Communications” presents new perspectives and constitutes the successful conclusion of the Clinical Cooperation Group Osteosarcoma. Osteosarcoma is the most common malignant bone tumor in children and teenagers and occurs mostly in adolescence. According to the current state of knowledge, it is characterized by an immense genetic diversity, making it difficult to conduct research for diagnosis and therapies. “Until now it was assumed that the very heterogeneous genetic mutations in osteosarcoma were random and undirected,” said Professor Michaela Nathrath, head of the Clinical Cooperation Group (CCG) Osteosarcoma at Helmholtz Zentrum München and the Children’s Hospital in Munich-Schwabing. Together with colleagues from Basel, her team examined 123 osteosarcomas with regard to mutations in their DNA. 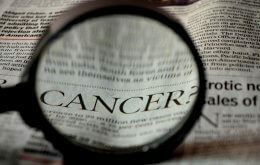 Initially the researchers identified 14 genes that appear to be crucial for tumor development, so-called driver genes. Further analyses revealed that more than 80% of the examined osteosarcomas had a specific constellation of these genes that is already known from other tumor types. * Since appropriate medications (so-called PARP inhibitors**) already exist, the researchers hope to find a new therapy option for osteosarcoma patients. “After decades of stagnation in osteosarcoma therapy, our findings open up a new therapy option,” said study leader Nathrath.The significance of the study results was also honored at the World Congress of the International Society of Pediatric Oncology (SIOP), at which Nathrath received the Noellenburg Award for her work. * The results constitute the successful completion of ten years of clinical cooperation between the Institutes of Pathology and Radiobiology at Helmholtz Zentrum München and the Children’s Department of the University Hospital of Technische Universität München. The joint endeavor has succeeded in gaining clinically relevant findings for improved treatment of osteosarcoma patients. The researchers found a gene signature that is frequently observed in breast and ovarian cancer. Here the DNA repair genes BRCA1 and 2 are altered by mutation or deletion in such a way that they can no longer perform their protective function for the DNA. ** PARP inhibitors: PARP is an abbreviation for poly-(ADP-ribose) polymerase. Like BRCA, this enzyme is part of the DNA repair mechanism of the cells. If it is blocked pharmacologically by corresponding inhibitors, i.e. substances that inhibit the action of PARP, this leads to massive DNA damage and subsequently to cellular apoptosis. Since 2005, the CCG Osteosarcoma led by Professor Michaela Nathrath, pediatrician and children’s oncologist, has been studying the underlying mechanisms of the most common malignant bone tumors in children and adolescents. The aim was to identify genetic mutations that can be used as prognostic markers or therapeutic target structures to develop new therapeutic strategies for patients with poor prognosis.